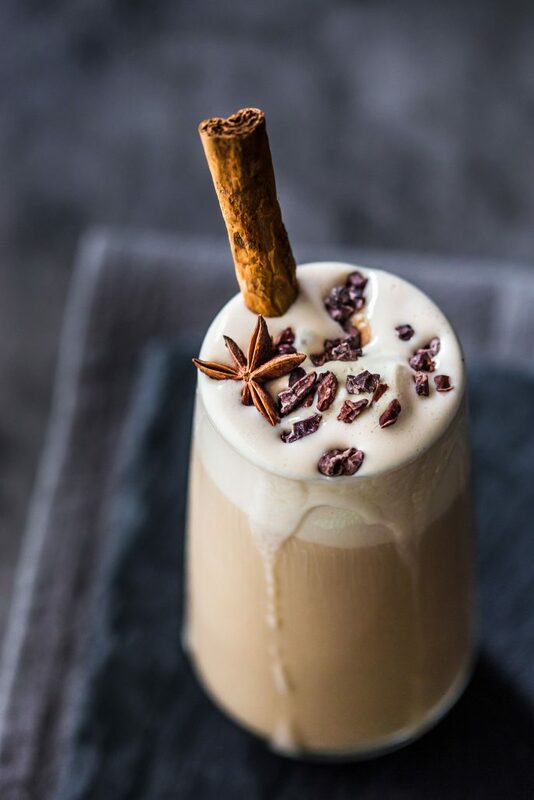 Chai Latte Milkshake! I’ve taken my love of chai to another level by whipping up a serving of a refreshing chai infused milkshake, dairy free of course! 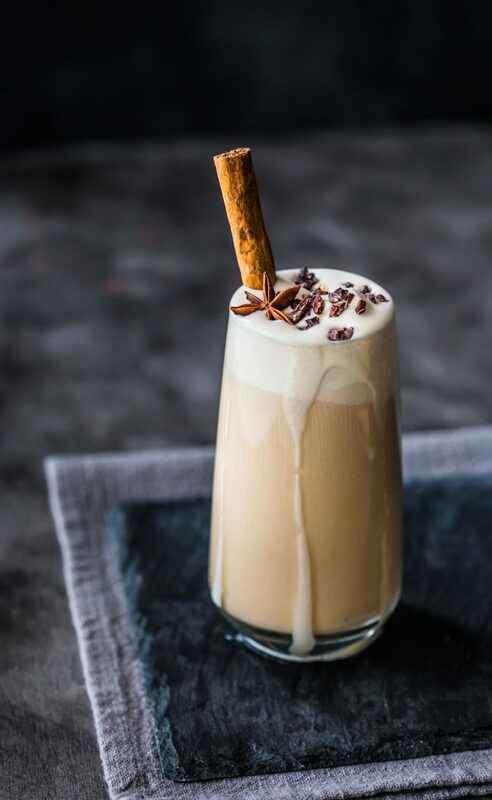 If you love your chai lattes, all you have to do to make yourself one of these beauties is to infuse your chai into your milk as you usually would, chill it and then add it to your blender along with a generous serving of vanilla ice-cream. Blend blend blend and drink drink drink! Oh, don’t forget those toppings!! I added the cinnamon stick and star anise for photo purposes only but I will admit the cinnamon stick infused extra deliciousness whilst sipping away! Combine milk and loose leaf chai in a medium sized pot over high heat. Whisk to blend the tea. Heat milk until bubbles begin to appear around the edges, reduce heat to low and simmer slowly for 12 minutes. Remove from heat and whisk through maple syrup. Strain mixture through a fine mesh sieve into a heat-proof jug. Place in the refrigerator until cold. Pour into a high-speed blender along with 3 scoops vanilla ice-cream. Blend on high for 10 seconds. 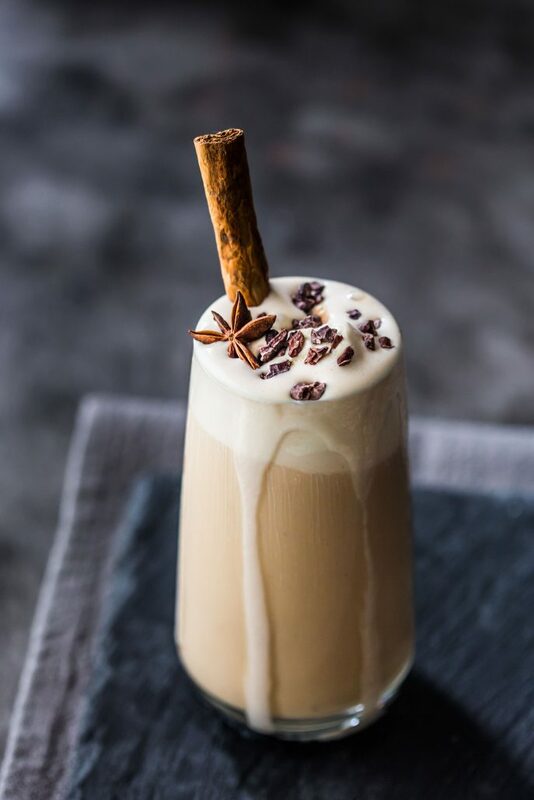 Pour into a serving glass/or glasses and top with extra scoop of ice-cream, cacao nibs, crushed peanuts and optional cinnamon stick and star anise.